Primary audience includes woodworking companies. Secondary audience includes a wide range of industries that bond laminate and substrate materials. 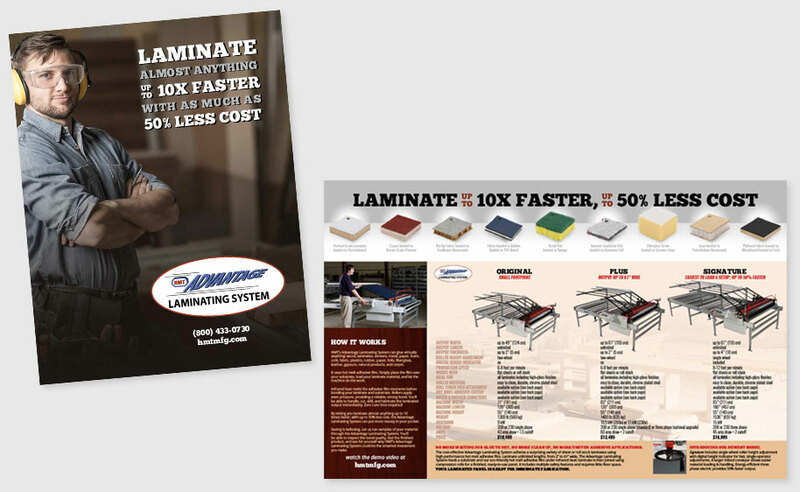 We designed two four-page brochures and a two-sided flyer. These pieces are consistent with HMT's website. Cedarock provided copywriting, theme development, product photography, graphic design, and printing.